This post is sponsored by Brew Interactive. 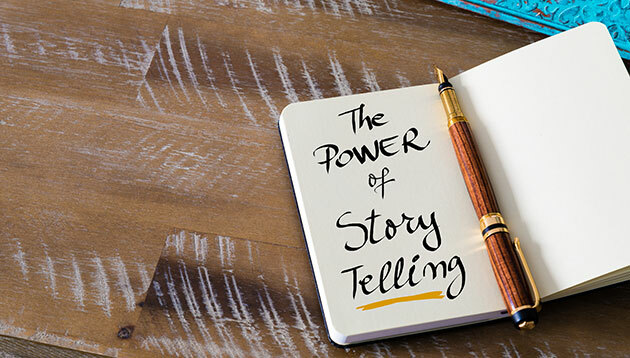 When it comes to B2B marketing, content marketing has proven to be one of the most effective ways to maintain and build top-of-mind awareness and thought leadership. According to the Demand Gen Report, 96% of B2B buyers want to view more content from industry thought leaders and 46% of them read three to five pieces of content before deciding to engage with a sales representative. The problem is many B2B marketers don’t always know how to approach content marketing in a way that will increase brand awareness and generate new leads and customers. In fact, if B2B marketers find themselves constantly requiring more advertising budget to increase traffic levels, instead of relying on organic growth, it probably means something is lacking within their content marketing strategy. So where do you start? Every great product or service starts with a big idea. Recognising the power of a big idea can help you create a content marketing strategy that will result in a ton of repeat visitors and referral traffic over and over again. To best explain what a big idea is, have a look at these two book titles below. Which book do you think sold better? If we take a look at these two financial self-help books, we’ll see that both books offer the same thing: they teach the basics of saving and investing money. But, can you guess which title led to more sales? Rich Dad Poor Dad is an international bestseller, which has sold over 32 million copies worldwide and has been translated into more than 40 languages. 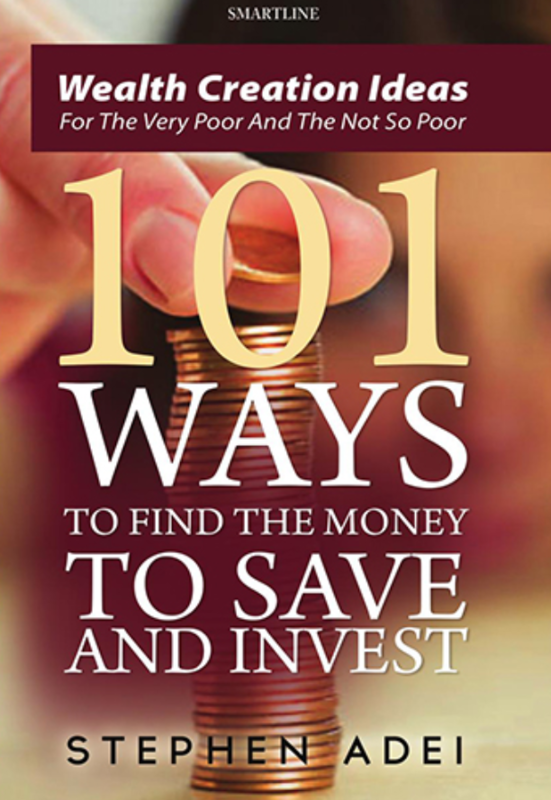 On the other hand, 101 Ways to Find the Money to Save and Invest is mostly unknown. By taking a closer look, we can see that Rich Dad Poor Day has a big idea lying behind the book. What’s the big idea? 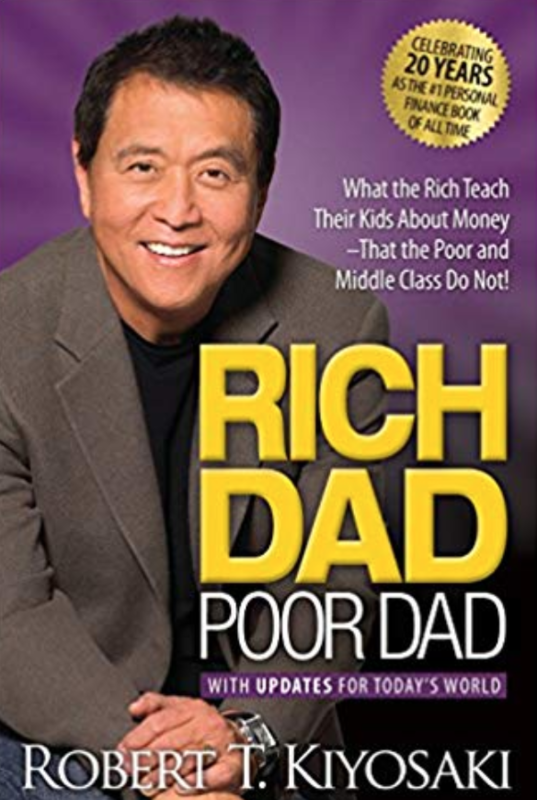 That the “Rich Dad” in the book gave the author (Robert Kiyosaki) way better financial advice than his middle-class “Poor Dad” did. It challenges conventional techniques of managing money, thus making it more attention-grabbing than other books of its kind. This big idea makes it stand out among thousands of self-help books, which is why the book appears different and more valuable for the reader. 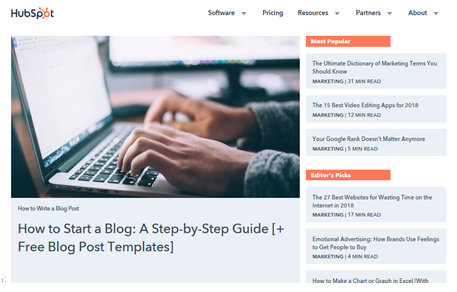 How do you create your big idea for B2B content marketing? How does a “big idea” fit into your inbound and content marketing strategy? In B2B marketing, one of the most significant differences from B2C marketing is that instead of targeting a consumer who is making a purchase dictated by their personal needs, you are targeting an organisation which needs a viable solution to a specific problem within a particular budget. First, you need to step back and consider your buyer persona. For B2B marketing, this means instead of focusing on the business you are trying to attract, focus on the specific person in that business who is the primary decision maker, and figure out what is the one big solution that would be different from all the other noise out there. Who is your target persona? For instance, if your brand offers online security tools for multinational companies with hundreds, if not thousands of employees, your target persona could be someone like the chief technology officer or the chief information officer, who is 40 to 50 years old, a holder of an MBA with experience in the IT sector and looking to improve their organisation’s IT security capabilities. Someone like this might have a thorough knowledge of security solutions which are reliable and cost-effective. And, if they don’t, it could potentially cost them their job. They might be looking to find an innovative company they can trust and a product which will be the best fit for their company, so they are looking for valuable content that gives them the information they need. What kind of content might this persona find appealing? Articles with the latest updates on cybersecurity such as What’s on the dark side of the cloud? or How to determine the best POS system for your company could be a good start. How do they go from awareness to a decision? Returning to the example with the CTO/CIO, when this persona is considering a specific online security product, they are probably looking for high-quality information and expertise on the topic. They already know the basics, so they don’t need someone to explain it to them. They need content that reflects the industry trends in online security, what their peers are doing and how this product will benefit their own company. What do they want to see that will help them in their career? Here, they need to see the unique features this company offers that will help them build their business case, and in turn, give value to them. They are looking for reassurance that choosing one product over the other will not only benefit their company, but also build their own reputation and standing. Now you’ve found your persona, you can move further through the process of finding your BIG idea. A memorable and straightforward method is to follow the acronym of B-I-G. Ask yourself: does your idea get people’s attention? Discuss your big idea with friends and colleagues. Did you pique their interest? Do they want to learn more? See if this idea can generate conversation and reactions. Then consider the marketing trends and platforms you need to create your content strategy. Genuine incomparability: Your products are truly unique. Unfortunately, most companies don’t fall into this category because it would require inventing a product with an exclusive patent. For most products and brands, the next two strategies are more realistic. Industrial incomparability: Your big idea revolves around something that you and your industry peers might already be implementing, but they don’t talk about in their marketing at all. A great example of this is TOMS shoes. Every time someone buys a pair of TOMS shoes, TOMS gifts a pair of shoes to a child in need. Customers who make the purchase are aware of this donation and feel good about themselves and their decision to buy TOMS shoes. This makes TOMS stand out in the retail industry. Another great example is Basecamp, formerly known as 37signals, which offers productivity tools for companies. These can be tools such as project management software and employee engagement software. 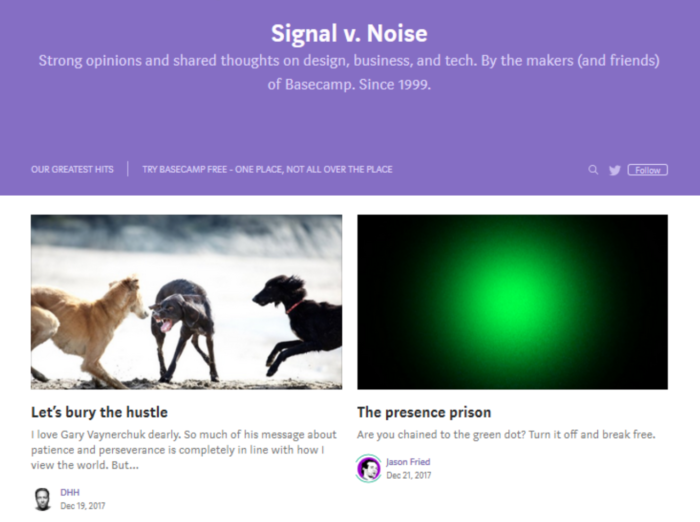 Its big idea revolves around providing contrarian productivity methods for companies, and it uses its blog, signalvnoise.com, to promote its big idea. Articles such as The presence prison, which talks about the fact that employees don’t have to be constantly online and “present” on communication tools for a job to be done efficiently, promotes their big idea. Created incomparability: A key factor in figuring out a big idea that works is creating something new and exciting about your brand. Something that will make your brand stand out from the rest. For instance, let’s say you work for a company selling health supplements for children and you’re looking for a way to market some new vitamin D supplements. If you only refer to the benefits of the vitamin, you probably won’t attract any attention, especially not kids’! Here, you need to find a way to think about your product differently, if you want to grow your organic inbound traffic and increase product awareness. In this example, you could do some research about vitamin D and discover that astronauts were required to use it in space missions. Now, this could turn your boring vitamin D into the “Astronaut’s Vitamin”. It’s a well-known fact that kids are intrigued by astronauts, so this would make them interested in your product. As a result, parents can choose an attractive health supplement their children will actually want to take. Now let’s discuss your gargantuan goal. Ask yourself one simple question: what is the biggest problem you’re trying to solve for your audience? For instance, Hubspot’s gargantuan goal is to help businesses grow bigger. And from its perspective, the best way to do it is through HubSpot’s big idea of “inbound marketing” (standing out from the noise of content marketing). It reinforces this idea through its blog, which has articles on inbound marketing techniques as well as through its free inbound marketing course, which is offered through its academy. Let’s see an example of a brand that successfully puts the B-I-G acronym into action: Hitachi. Its big idea can be summed up in two words, social innovation. Hitachi is in the business of providing smart technological solutions to solve challenges faced by societies and companies. To its audience, mostly made up of business and government organisations, Hitachi has coined this term to define the work it is doing for businesses and governments around the world. And it has taken the big idea further by setting up a digital publication on http://social-innovation.hitachi to post all relevant content about its big idea. It posts case studies, articles and entertaining and visually aesthetic videos to show how it is putting forth its projects in all sectors. 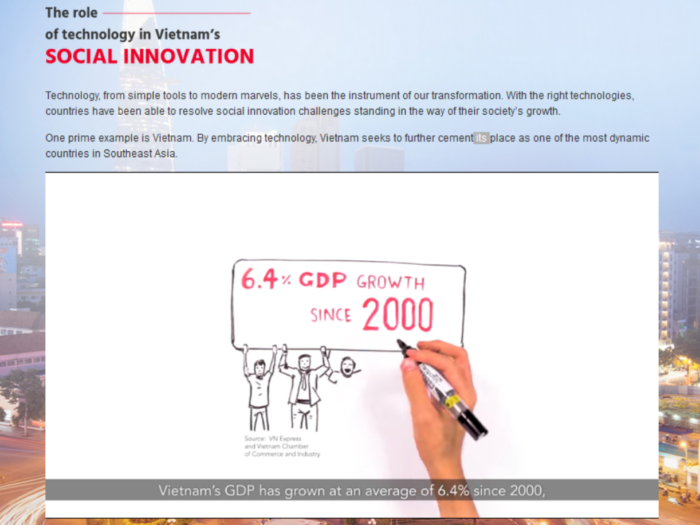 One can easily find more content on its website, which gives more social innovation stories about sectors such as communities, health and transport, among others. This big idea of social innovation has generated plenty of positive conversation about its brand, showcased its incomparability through its unique social innovation practices and shown how Hitachi solves problems on a global scale. This B-I-G technique has helped Hitachi to establish the brand as an authority and thought leader in the industry, and more specifically, in bringing about social innovation. Once you find your big idea, your brand will rise above the rest. Keep in mind that your big idea is the focal point of your brand. This means your content, whether it takes the form of an editorial, infographic or video, should always revolve around that big idea. The article is a contributed piece from Brew Interactive.